The walking holiday of a lifetime! 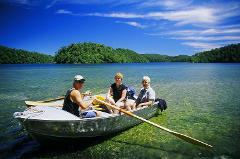 Explore the very best of the North Island’s diverse and visually spectacular regions in comfort & style. Be awed by the scenery, spoilt by delightful accommodation, meals & wine. Journey deep into New Zealand's last frontier, a land cloaked in mist, mysticism and primordial forest. 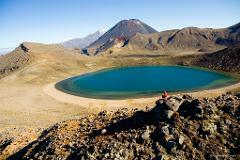 This unique Great Walk is a hut-to-hut hiking expedition, circumnavigating beautiful Lake Waikaremoana, with a small pack and fun group. Lake Waikaremoana is perched high in the rugged mountains of Te Urewera National Park, amidst the largest area of native forest in the North Island. 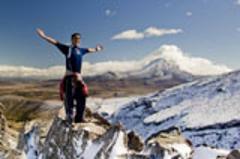 Explore the valleys & mountain tops, lakes & waterfalls, based in a character lodge. 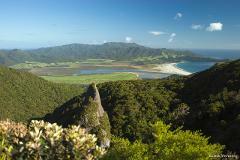 The Coromandel boasts some of the world’s most spectacular beaches, plus tropical forests, jagged mountains & rich history. This hiking tour takes in the lot! and includes lovely boutique lodge accommodation. 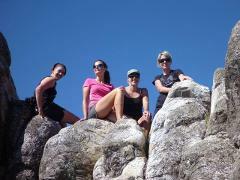 Complete this iconic Great Walk with a small backpack, great meals & wine, small fun group, and experienced local guide. 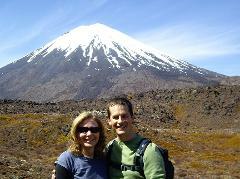 From alpine herb fields to forests, from tranquil lakes to desert-like plateau - a hike of extremes and surprises! Trek amongst golden beaches, crystal-clear waters, prolific birdlife, volcanic mountains and native forests, while taking time to soak up the Island’s unique laid-back lifestyle. On Great Barrier Island, nature is king.